Last month I said a good sighting of a beautiful leopard would make up for the cooler weather moving into the Kruger Park. 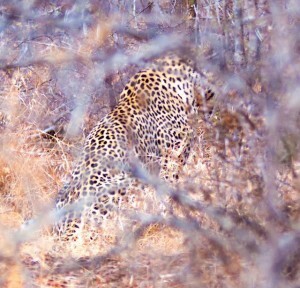 Many people asked if I got to see my leopard. 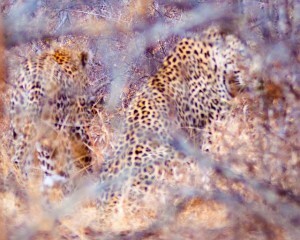 Well we got to see two together! 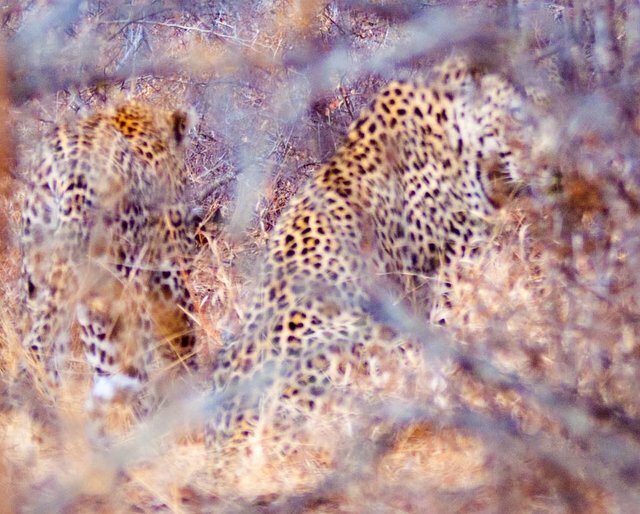 It was through very thick bush and we think they were a bit miffed with us as we may have interrupted their mating, so they moved away quickly! But it was very special. They are such beautiful creatures – apparently the only remaining large cats that can be found roaming free in the African wild. 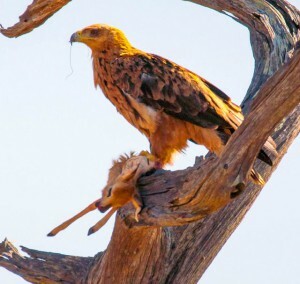 Another great sighting was a tawny eagle with its kill, a very small baby buck. Sad for the buck and its mother but a big meal for the eagle. A reminder of the cycles of nature. Follow your passion or be practical? At the end of last month I walked past the radio in time to hear the radio presenter ask “Should children follow their passion or be practical?” He went onto say that over previous days some experts had commented that children need to be going into fields of study that qualify them in areas where SA is short of skills or where the money is. Rather than fighting for jobs where supply exceeds demand. I picked up bits of the discussion as people called in. There were many views expressed, and personal experiences shared. And by the end it appeared there were as many pro practical as there were those pro passion. My leaning is towards following your passion but I also appreciate the practicalities. What concerns me is the situation in the workplace where leader-managers often find themselves frustrated by people who don’t want to be there. People who for whatever reason haven’t followed their passion and now have little interest in their job. As frustrating as that is for the manager, it must be a horrible place for the employee. We spend a lot of hours at work. I think we are all entitled to find satisfaction and joy in being there. If we are that employee what can we do? If we manage someone like that how can we help them? 1. Is it possible to change to another position that is better aligned to your strengths and interests? This could mean a total career change or a change within the current industry or perhaps just a sideways move within the current business. 2. Or whilst keeping the current position could you swop some tasks with a colleague so you both get a change or take on an additional small project. I remember a PA with a passion for the environment who whilst remaining a PA got to be an advisor on a “green” project. 3. Try taking a step back from the work and review its value. If done well how does this work impact fellow workers, the company, the industry, the community, the country ….? Is there an alignment anywhere with your own values? Can you find meaning in what you do? 4. Are you good at what you do? Could you be better? It is much easier to feel motivated when we feel competent. What can you do to become better at your work – study, practise, accept coaching or mentorship? 5. If your real passion just can’t be brought into your work then look for a hobby, sport, volunteer activity that makes use of your strengths and brings you alive. If we feel fulfilled in our personal time the increased energy and enthusiasm spills over into the rest of our lives. Think of the person who loves to teach but wanted a job that paid much better than the teaching profession. They can volunteer on Saturday mornings at a centre giving extra tutoring to struggling kids. Whatever we do, if we do it to the best of our ability and with our best attitude, it can bring joy to us and those around us. Two excellent facilitators, Julie and Chantal, are soon presenting a very valuable 2 day hands on workshop, ‘BOUNCE in the face of adversity’. Does that sound like the break you need? If so book now for September, October or November.